If you have alignment issues with your teeth, clear aligner therapy can provide a solution that improves your appearance and oral health. At Boyd and Boyd Dentistry, we provide a range of orthodontic solutions that are also cosmetically appealing. Using MTM Clear Aligners, ClearCorrect, and Invisalign treatment, Drs. Anthony and Cynthia Boyd can find the right treatment for your smile. MTM Clear Aligners use a set of clear aligners to correct slight misalignments such as crowding or gaps near the front-facing teeth. ClearCorrect Clear Aligners consist of a series of clear aligners that target front-facing teeth as well as back molars and gradually shift teeth into a better position. 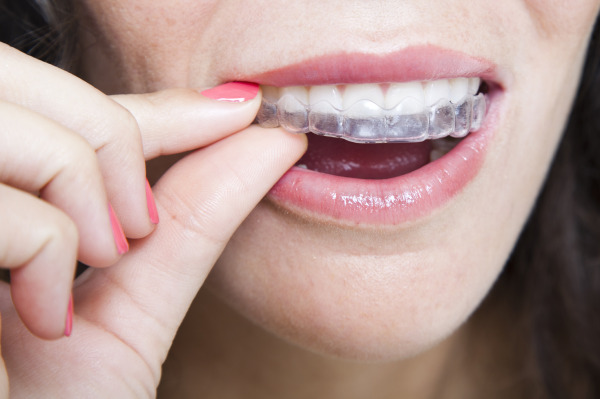 Invisalign uses clear aligners to shift the teeth and create a better alignment. The retainers are also able to target both the front-facing teeth and back molars. A straighter smile is a healthier smile, and by using clear aligners your teeth will become easier to brush and floss. The aligners you receive will depend on your treatment goals and the extent of your orthodontic issues. However, each option produces optimal results and straightens teeth in a virtually invisible manner. During your consultation, Dr. Boyd will discuss your treatment objectives. If your alignment issues rest in the front six teeth, MTM Clear Aligners may be recommended. If there are discrepancies with the back teeth, ClearCorrect or Invisalign will be a more viable solution. No matter what solution Dr. Boyd recommends, you will be able to work toward an attractive and healthy smile without anyone noticing! If you would like more information about clear aligner therapy, or to find out whether clear braces are right for you, contact Boyd and Boyd Dentistry in Annapolis, MD and scheduled an appointment today!